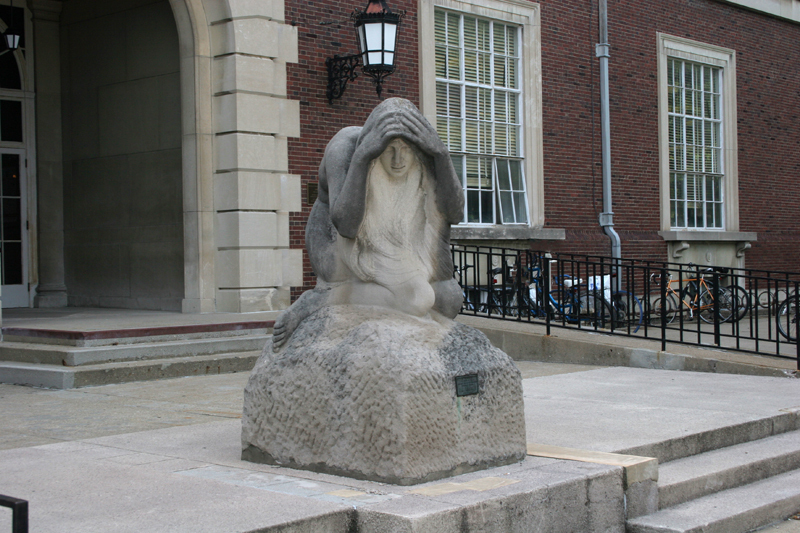 This artwork was created by artist Lorado Taft (1860-1936). 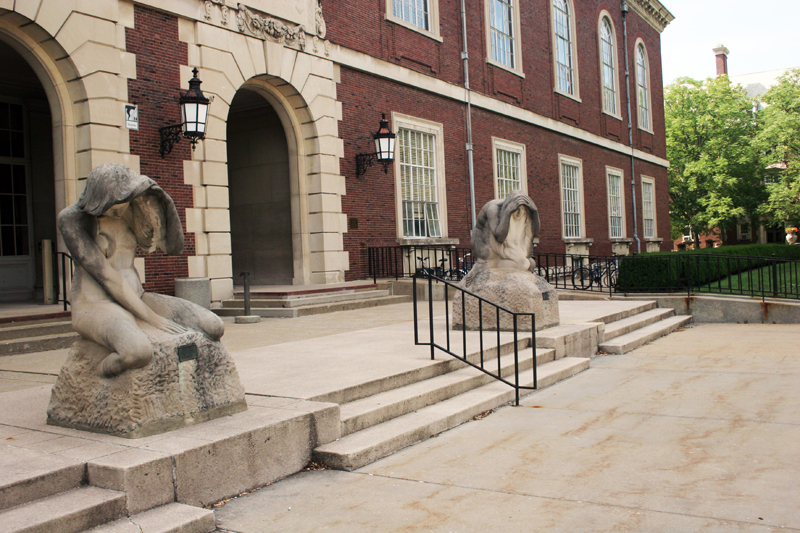 The four limestone figures range from 5' to 7' high and live in front of the Main Library on the eastern side. 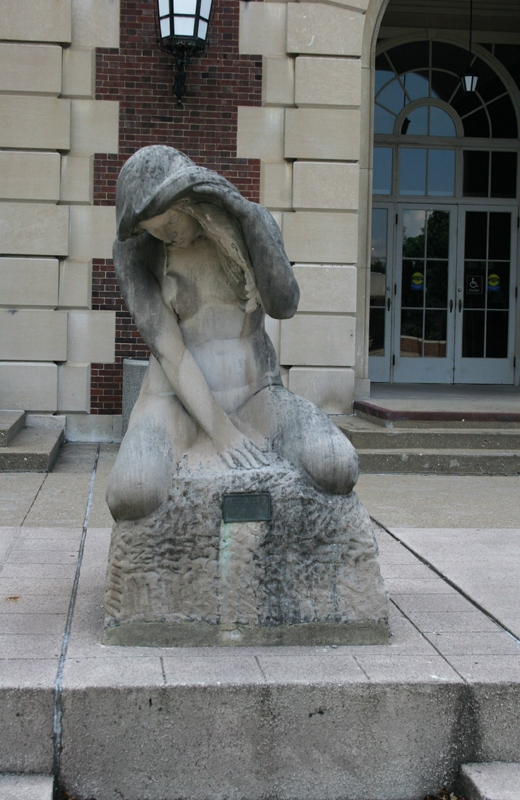 The University purchased the sculptures in 1937 from the Lorado Taft collection. 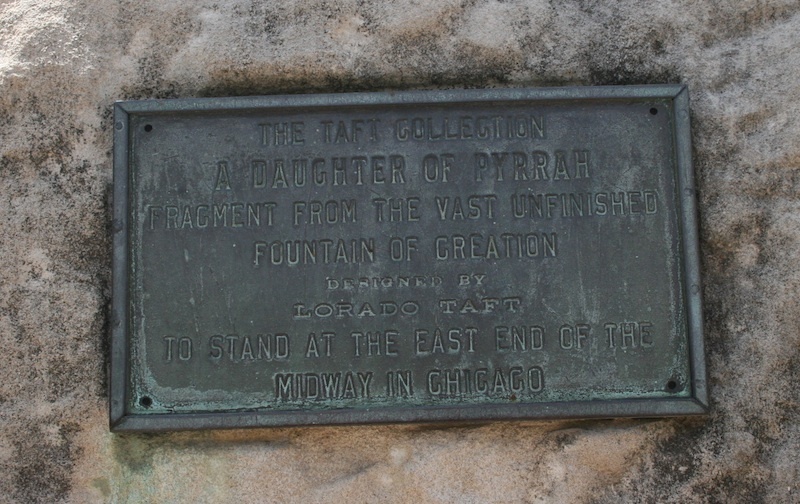 Taft began the artistic process for a fountain of Creation with a tiny plaster maquette first exhibited in his studio in 1910. About forty figures, each approximately 2 and a half to 5 and a half inches high, were arranged in fourteen single- or multi-figure parts; their final size was to have been about 10 feet high, with the fountain measuring about 70 by 40 feet. Water would rise up around the groups, form mist, and flow to suggest great floodwaters, imagery derived from the Noah-like Greek myth in which Deucalion and Pyrrha, the only two people left on earth after a deluge, consult "a convenient oracle as to the best way of restoring the human race." They are told, in Taft's words, "to cover their heads and throw the bones of their mother behind them." In his maquette, the sculptor shows us the moment when these "bones," which Pyrrha perceived as the stones of Mother Earth, are changing into men and women, who materialize from the cold and flood into life and light. Muriel Scheinman, “Daughters of Deucalion and Pyrrha, 1933,” ExploreCU, accessed April 21, 2019, https://explorecu.org/items/show/17.